Dental implants in the UK are now available at the same prices as dental implants abroad. Dental implants have been available in the UK for the last 25 years. During this time Dental implants have been proven to be a reliable, predictable and safe alternative to missing or damaged teeth. With dental implants chances of success are in the region of about 95% that they will integrate with the jaw bone and offer support and stability for fixed dental crowns, dental bridges or dentures. Dental implants have been shown to last for up to 20 years. Many patients in the UK would benefit greatly from having dental implants. Why is it cheaper to have dental implants abroad? Each year many patients opt to have dental implants abroad. Countries like Hungary, Czech Republic, Poland and Spain have been popular destinations for UK patients opting for more competitive dental implant prices . 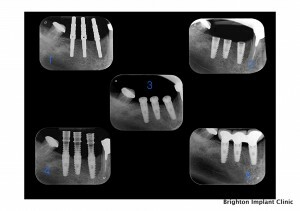 One may ask well how is this possible that dental implants abroad can be more affordable than in the UK. There are a few reasons why having dental implants abroad may be more affordable than in the UK. The cost of labour is generally more affordable in the mentioned countries which has an effect on the final product. The cost of Property rental, insurance and staff in the UK is much higher than most countries in Europe. These are just two reasons we think why dental implants abroad may seem to appear more affordable than in the UK. – Cheaper treatment in abroad. – Treatment is often combined with a holiday in abroad. – A consultation should always be carried out prior to any surgical procedure, in the UK there is usually a ‘cooling off’ period after the consultation to allow time for the patient to make an informed decision. Without this cooling off time one may feel more pressure to proceed with implant surgery. – Lack of aftercare and follow up from the implant surgeon. It is possible there will not be a UK based contact to offer aftercare. – If any problems arise following the treatment, you would need to travel abroad to see your implant dentist. – Dental implants abroad can be sold as part of a holiday package to entice people to buy. It is likely that the person selling the package is a sales representative and not a surgeon. Is important to meet your surgeon and understand the procedure before parting with any money or going ahead with any surgical procedure. Brighton Implant Clinic opened in 2009 and offered exactly what was missing in the UK market. 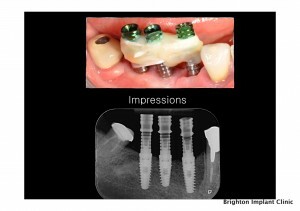 Dental implants in the UK at the same prices as dental implants abroad. 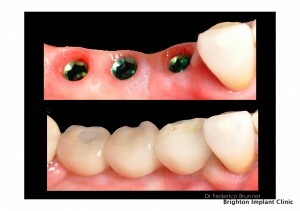 The cost of a single dental implant at Brighton Implant Clinic is £995. This includes the cost of the implant, abutment and final porcelain crown.